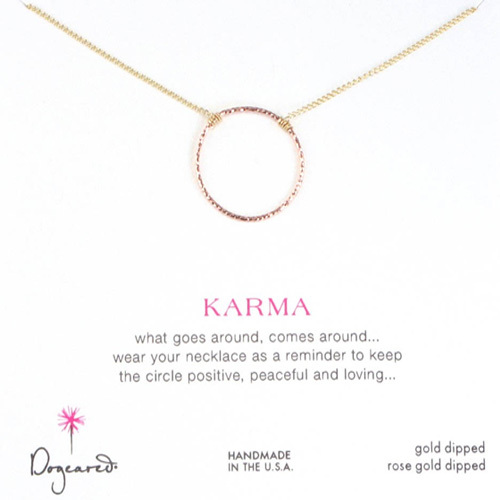 Dogeared Medium Karma Necklace in Rose Gold. Card Message: What goes around, comes around. Wear your necklace as a reminder to keep the circle positive, peaceful, and loving...... 18" gold dipped fine curbed chain. .85" rose gold sparkle karma circle.